In Tanzania children with disabilities often struggle and the support received by their local community is minimal to none. Volunteers who take part in this project will be placed at our partner organisation based in the town of Moshi. As a volunteer, you will be working at a rehabilitation centre for children, where our Occupational Therapy Project is also based. Volunteers will spend time helping to assess, diagnose and treat children with speech, language or swallowing difficulties, as well as monitoring patients’ improvements through progress reports. It is important that volunteers use their initiative and are eager to learn and practice new techniques and methods when working with the children, as there is no local speech therapist to supervise them. However, the rehabilitation centre does have a qualified occupational therapist who has an excellent working knowledge of speech therapy. They will be able to assist and guide you when needed. In order to join this internship, volunteers are required to have two years of studies in speech therapy or a related field. If you want to take part in this project, but you are not sure if you qualify, please send us your CV. 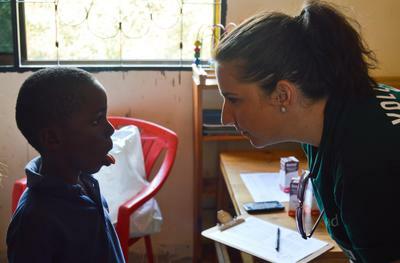 While volunteering in Tanzania, you will stay with a local host family. During your free time, you will have the opportunity to meet other Projects Abroad volunteers and explore the local area.